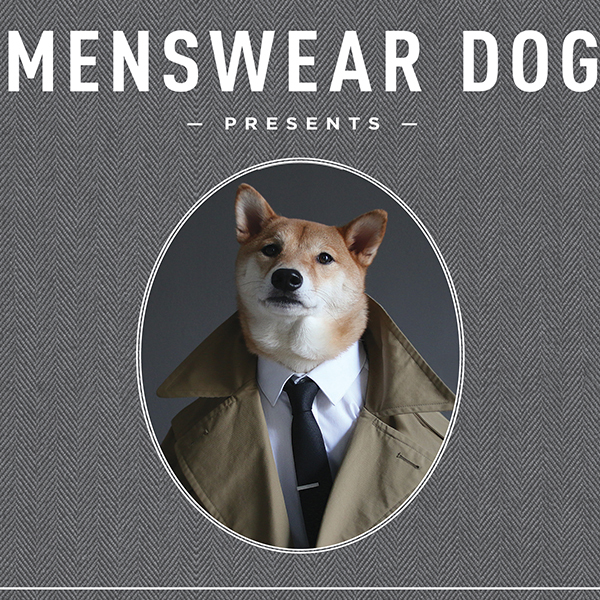 Bodhi, the Shiba Inu behind the beloved blog Menswear Dog, wants to train you in the ways of dressing like a man. Bodhi knows a thing or two about layers and will show you how to mix and match by season. Obviously, we are smitten and recommend you follow Bohdi on Instagram and pick up his book, Menswear Dog Presents: The New Classics for your bookshelf and as a gift for your hopeless brother who can’t seem to throw away that moth-eaten sweater that smells like old bread. Q: What do you think are the most common mistakes guys make when getting dressed? Dave and Yena: Across the board, the most common mistake guys make is buying the wrong size. It doesn’t matter how much you spend if the fit isn’t right. There are also still a few leftover fashion faux-pas from the ‘90s that we should have left behind, like baggy pants and square-toe shoes. Q: Is there one tip from the book that will change how readers dress? Dave and Yena: Yes, the book is designed to help you build looks from a curate group of classic, essential items rather than buying hundreds of different outfits. All the extra, unworn clutter in your closet is weighing you down. The goal is to have a tight, hardworking wardrobe that makes it easy to get dressed. Dave & Yena: Luckily we live in New York City, the world’s largest runway, so all we have to do for inspiration is walk to Soho or the Lower East Side to see people from all walks of life dressed in their own amazingly unique ways. We’ve seen a lot more men mixing styles and pairing casual activewear with classic menswear pieces. For example, we’ve seen guys pair their varsity jacket with tweed trousers and brogues, and we’ve seen other men dressed in impeccably tailored suits while wearing clean running shoes. That marriage of high and low is a continued source of inspiration for many of Menswear Dog’s looks. Q: If Bodhi could model for any fashion designer, who would it be? Dave & Yena: Tom Ford. When everyone went super skinny with their suits, Tom Ford stuck to his guns and maintained a distinctly masculine silhouette, complete with large throwback peak lapels, strong shoulders, and a tapered waist, all expertly tailored in luxurious fabrics. Harkening back to the days of the Rat Pack, his suits ooze confidence and make a man look like a man. Barnes & Noble, IndieBound)! And check out mensweardog.com and follow Bohdi on Facebook, Twitter, Vimeo, Pinterest, and Instagram! Photos: Yena Kim and David Fung, from Menswear Dog Presents the New Classics (Artisan). Copyright 2015.